Our Safaga cruise port guide gives you information about the docking location, cruise dock, transportation options and much more! Welcome to the Safaga cruise port guide. Lets be honest: Safaga is not the most attractive town in Egypt. Your cruise ship will only visit Safaga for 1 simple reason: Luxor. 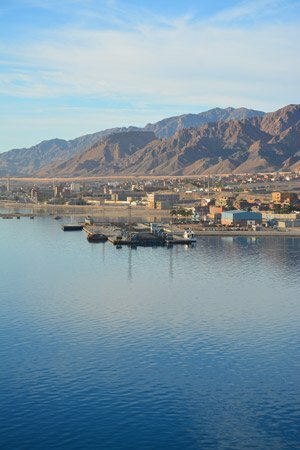 Safaga is the gateway to Luxor as this is the closest sea port to it. Safaga means ‘protection from bad wind’. This town is a centre for the export of phosphates from local mines. Once a year it also becomes a busy embarkation port for Muslims who are travelling to Mecca during the annual Hajj. Safaga is known for windsurfing and kite surfing, but it is also a vacation town in the making. Therefore you could also opt for a day at a resort when you are in port here. Find out in the Safaga cruise port guide underneath what your options are. This is the cruise dock of Safaga. As you can see this is not what you would typically expect of a cruise port. You really have to see this as the gateway to Luxor, nothing more. This is your view from the ship over the city of Safaga. It doesn’t seem that attractive and it really isn’t. We wouldn’t recommend to stay in the town here. Go further afield to one of the resorts or to Luxor. The port of Safaga is one of the oldest ports in the Red Sea and it shows. You have very limited facilities here. 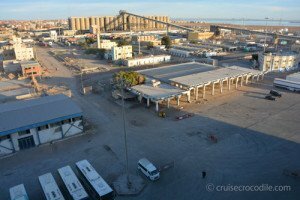 There is no cruise terminal building, no atm, no tourist information. You will find there is a very limited amount of taxis available on the pier. You’re about 2 km away from the city centre. You have limited options here in town. Lets review your best options on what to see and do from the cruise port of Safaga: – Visit Luxor. This will be worth it! This is a location you simply have to have seen in your life and check off your travel resume. The drive is about 240 km to the west and takes almost 4 hours. Please be mindful that at this point buses and other vehicles will have to travel in convoy. Therefore we strongly recommend to go with an organised shore excursion. – Visit one of the resorts in the area. 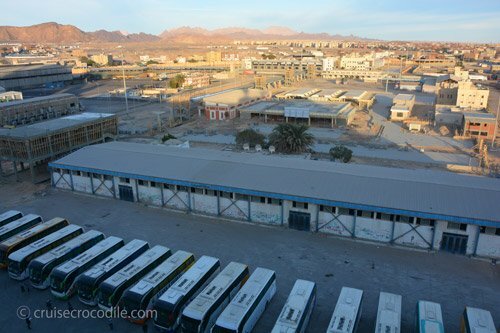 Sometimes your cruise ship offers a shuttle service to one of the resorts at Soma Bay. This beautiful bay is where Safaga is in the running for becoming the next important vacation spot for Europeans. Visit one of the resorts here while enjoying cocktails, wi-fi and the beach. Soma bay is 25 km to the north and the drive takes about half an hour. 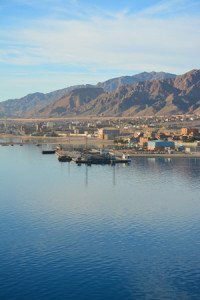 – Visit Hurghada. This is the biggest town in the area mainly known for being the biggest holiday resort there is along the coastline. Hurghada lies 63 km to the north and the drive takes just over an hour. Prepare an organized shore excursion before you leave home or try to find a taxi on the pier. Taxis at Safaga Usually there are no official taxis on the pier in Safaga. When you walk on the dock look for a negotiator to see if he still has any vehicles available. When you negotiate expect that a private van with A/C will approximately cost: 80 USD dollar round trip Hurghada 160 dollars round trip Luxor Wi-fi You can find wi-fi at the resorts and possibly at the exit of the port of Safaga (10 minute walk from the ship). Across the exit of the port is where you will find hotels that offer wi-fi. About an hour drive north is where you will find Hurghada. This is a lively town known for its resorts. 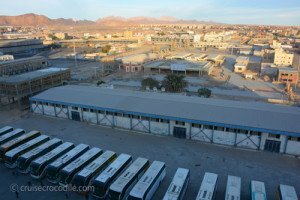 If you don’t want to go to Luxor or the Valley of the Kings we highly suggest you go to Hurghada to do your souvenir shopping and maybe visit one of the resorts. The drive to any place outside of Safaga is mesmerising. Your vehicle will go through the deserts of Egypt. Enjoy the ride, because it is a special one. Cruise ships dock at the Maritime Seaport of Safaga. This cruise dock has little to offer and facilities are limited. There is no cruise terminal or tourist information. Even taxis are extremely limited. Therefore we highly suggest to pre arrange transportation to ensure you will get out of the port area and to one of the attractions in the area. Read the full Safaga cruise port guide to read all about your options in this port. At the other side of the river Nile is where you will find the Valley of the Kings. This is one to put on the itinerary if you are planning to go the Luxor. Find the most incredible graves of famous Pharaohs of Egypt. Keep in mind it is not allowed to make picture here. Although it is a 4 hour drive from Safaga this will be worth it. Luxor is one of those spectacular sites you have to have seen once in your life.